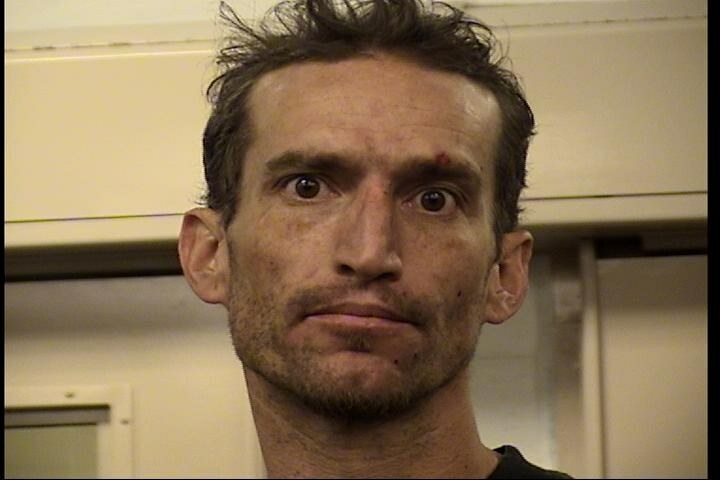 Israel Sandoval, 35, was arrested for being in possessions of a stolen vehicle and in possession of stolen items. On April 17th, 2017, the Albuquerque Police Department Auto Theft Unit located a stolen Ford F-350 at the Rodeway Inn located at Coors Blvd and Iliff Rd. Soon after detectives located the vehicle they observed Israel Sandoval drive the vehicle into the southeast area where he was taken into custody. During their investigation they discovered Sandoval was on his way to University Pawn to pawn the stolen tools and other items he had in the stolen vehicle. Detectives found numerous stolen items in the vehicle along with a gun. Detectives were able to return the vehicle to its owner along with tools that belonged to a local construction contractor. Other items located were found to belong to the New Mexico Museum of Natural History and these items were returned as well. Sandoval was arrested and charged with Receiving/Transferring a Motor Vehicle, Possession of a Controlled Substance and had a warrant for his arrest for Possession of Stolen Property and a prior Receiving/Transferring a Motor Vehicle charge. Sandoval is in MDC custody currently on a hold. The Auto Theft Unit did an amazing job getting this offender into custody and returning the stolen property back to its rightful owners.